Images of Icelandic waterfalls were the last similarities I would have drawn between Far North Queensland’s nature backdrops and plethora of national parks and rainforests. 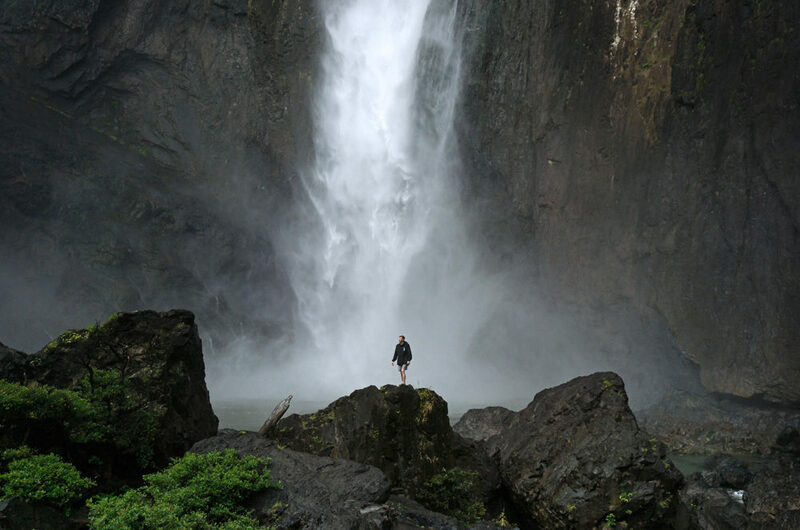 Challenging that vision, stood before me, the tallest single drop waterfall in Australia – Wallaman Falls. Not only did the height of these falls have me gawking, but also its sheer force. 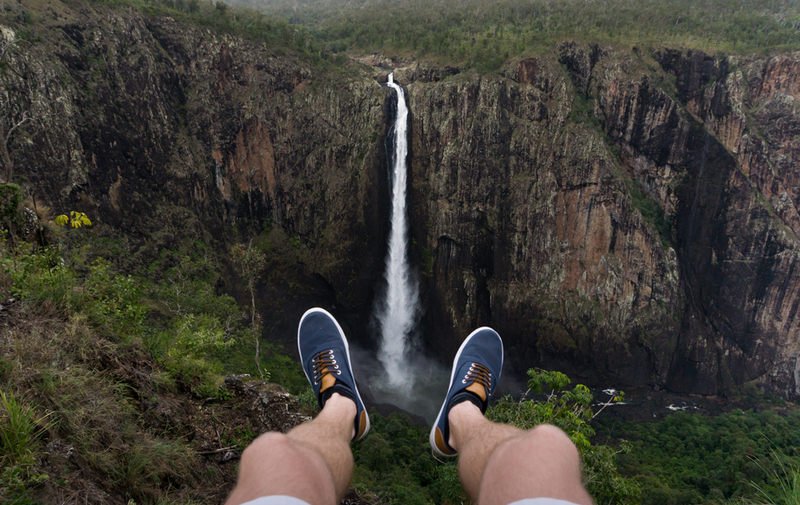 Wallaman Falls, towering over 268 meters is approximately a two and a quarter hour drive North West of Townsville and fifty one kilometres south-west of Ingham – a popular stop on the road North to Cairns and beyond. 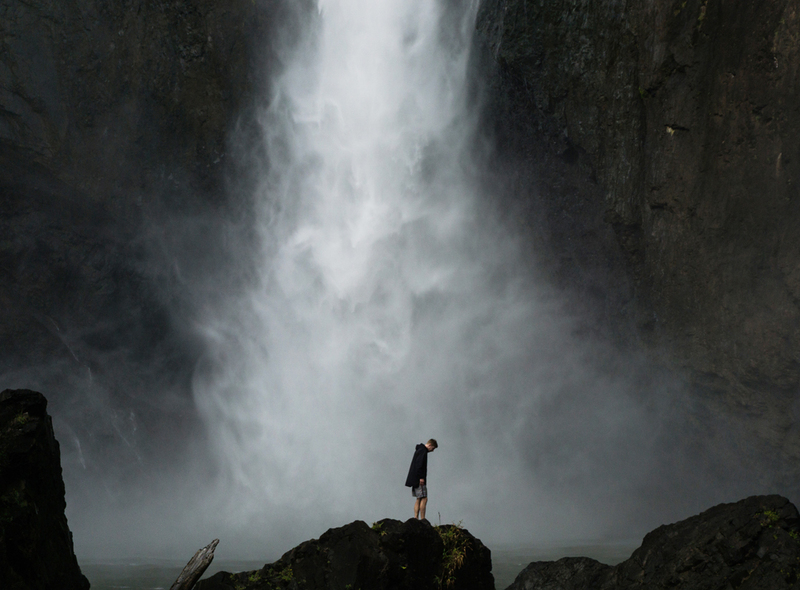 Rivalling the famous waterfalls in Oregon, United states and those seen in Iceland, those lucky few who’ve adventured to these internationally notorious falls seem to note the similarities that Australia’s Wallaman Falls present in comparison to the above mentioned international counterparts. 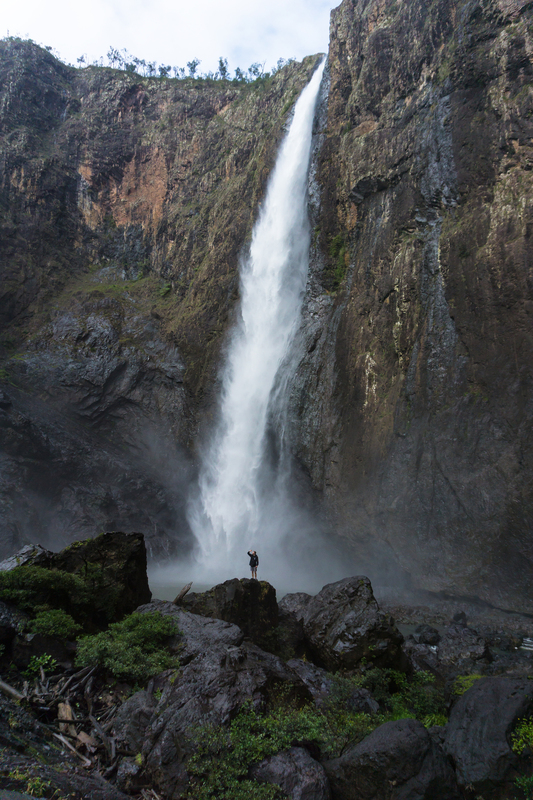 Wallaman Falls is an absolute must see on your adventures North, guaranteed to have you drooling. 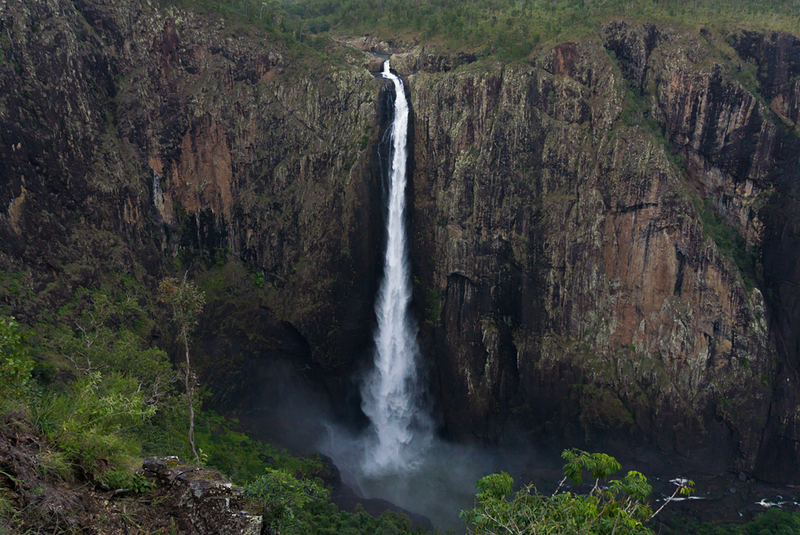 Located within the Girrigun National Park, Wallaman Falls is an easy and simple drive from Townsville. To get to the base of the falls, take the Djyinda (pronounced ‘Yin-Da’) track. This track is 3.2km return along a moderately graded descent. Beginner hikers should allow approximately two hours return trip. For the second time this year and on an uncharacteristically overcast and much cooler day, I set out to explore Far North Queensland, in particular, this section of national park on a recent road trip North with my brother – gradually making our way further north to Port Douglas and then on to Cape Tribulation. I’ve been fortunate enough to explore sections of Lamington National Park and Springbrook National Park in South East Queensland, neither of which compared to the incredible display of force witnessed at Wallaman Falls. My brother and I stopped for some photo opportunities at the base of the falls, fending off the torrents of mist that whipped its way around the base of the falls as the wind constantly changed direction. I could’ve spent an entire day photographing and filming at Wallaman Falls, however we had a deadline to make by the afternoon – a brief stopover at Mission Beach and Babinda Boulders was on the cards for late afternoon, accompanied by an overnight stay in Cairns city later that evening. The return journey from the base of Wallaman was somewhat more difficult as you navigate the steeper ascent back to the car park. The track is well defined, yet slippery in some places, particularly as you near the end of the track on the way down. On a sidenote, it’s best to explore to Wallaman Falls early in the morning, or late afternoon. The road to the national park is narrow and slippery in places, not offering much room to avoid other vehicles on the winding sections. We were one of the first to arrive this particular morning at approximately 7:30/7:45am. For this adventure, I elected to bring my Sony a6000, tripod, DJI Phantom 3 Standard drone and my drone bag to carry all of my equipment. If you can, travel light as the return trip is sure to get your heart rate rising. To watch the full vlog video on this section of the road trip, head on over to the YouTube link below.